I was delighted to represent the Ancient Monuments Society at Civic Voice’s Annual Conference in Birmingham last Friday and Saturday. Civic Voice is a national organisation which brings together local civic and amenity societies from across the country and campaigns and lobbies on their behalf. It also provides briefings, information and toolkits to members and is a forum for discussion. Over 50 local groups were represented at the Conference this year – with members having travelled from all corners of the country and flying the flag for Blackpool, Deal, Retford, Manchester, Cambridge, Ilkley and Finchley, just to name a few. The Conference was held in the Birmingham Repertory Theatre, built in the 1970s and shown on the far left of the image above. Next to it stands the new Birmingham Central Library. I have been a supporter of Civic Voice since its creation in 2010 and this year’s Conference was the organisation’s most high profile to date. The Friday session brought together speakers from the sector’s leading national organisations: the Heritage Lottery Fund, Historic England, the Institute of Historic Building Conservation (IHBC), the Royal Town Planning Institute (RTPI) and the Royal Institute of British Architects (RIBA). 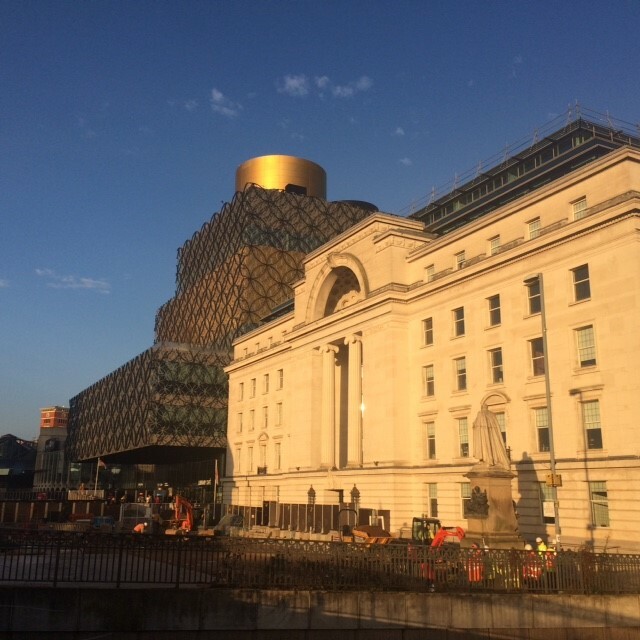 We also heard from Gavin Orton, Chairman of the Birmingham Civic Society (our host for the two days), Max Farrell, who gave an update on the Farrell Review and Tony Barton, Chairman of Donald Insall Associates. The main theme for the day was conservation areas, with a focus on the added value which community engagement and collaborative working can bring to conservation-led regeneration projects. Dame Fiona Reynolds, former Director General of the National Trust, gave a keynote speech on the ‘Fight for Beauty’, the subject of her new book, in which she highlights the importance of the non-material in people’s lives. Her call-to-arms resonated with the audience in the hall, local civic groups whose mission is to improve people’s quality of life and well-being through conservation and protection of the natural and built environments. The day really felt like a coming together of a sector which has sometimes been thought of as being fragmented. It was particularly uplifting to hear Ben Derbyshire, President of the RIBA, say that he had pledged only to deliver initiatives in partnership with others during his two-year term – “The more we work together, the more effective we will be.”, he said. Surely this is the best way forward for all of us. 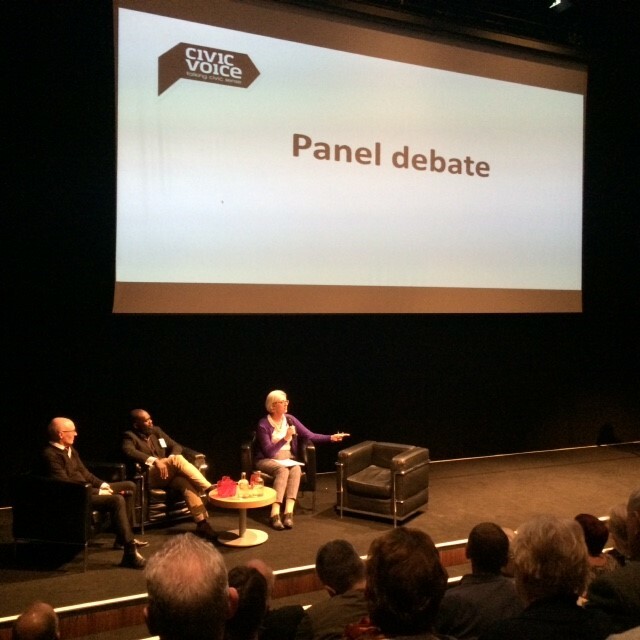 Panel debate with Tony Barton of Donald Insall Associates, Oluwaseun Soyemi of the Heritage Lottery Fund and Deborah Lamb, of Historic England. 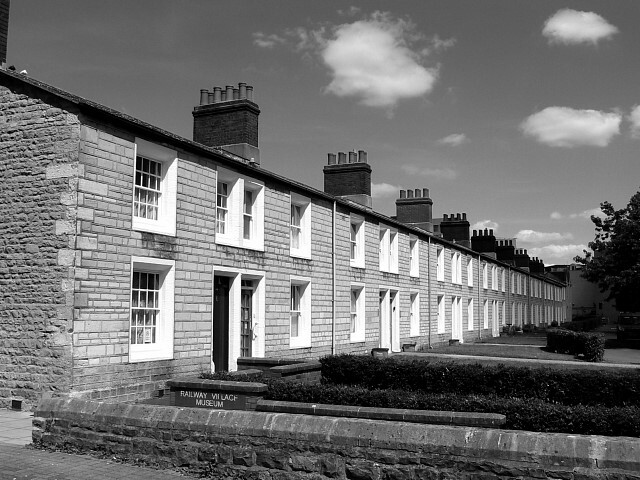 I was delighted when it was announced that the Swindon Railway Village had won Civic Voice’s Favourite Conservation Area Award 2018. When I worked for English Heritage (now Historic England), I was a regular visitor to their offices in Swindon, which are housed in the former Chief Mechanical Engineer’s and Drawing Office for the Great Western Railway Works. I used to enjoy walking through the railway village to the station and visiting the local public house, now a community café. I remember being told by a taxi driver that he took great pride in his family’s contribution to the work of the GWR and that this pride had passed down through the generations, so it is very positive to see this history being celebrated. A terrace in Swindon’s Railway Village © Copyright Brian Robert Marshall and licensed for reuse under this Creative Commons Licence. On Saturday I gave a talk in one of the workshops on the role of the National Amenity Societies in the planning system. I was surprised to discover that most people in the room had not heard of the term, although some were able to name individual societies. This seems to me like a missed opportunity – especially at a time when resources within local authorities are under so much pressure. I explained that the funding cuts of the past 10 years had had a severe impact on the availability of conservation expertise, particularly within local authorities, but that the sector was working together to address the situation. One of the great positive developments of the past few years has been greater co-operation between the National Amenity Societies and with Historic England, who recognise the invaluable contribution of the voluntary sector. For me, the most rewarding aspect of the two days was talking to local groups about the conservation dilemmas they face within their areas. Local civic societies are a great resource which I believe should be better integrated into our heritage protection system. They are experts in the history and development of their localities and can take an informed view of what is the most sustainable way of accommodating growth. Many of their volunteers are retired professionals who bring specialist skills to the cause. It shouldn’t be forgotten that the label ‘NIMBY’ was popularised by developers who wanted to discredit local opposition. It is wrong to say that local groups are always anti-development or anti-progress – in reality, what they are fighting for is a deeper appreciation of history and the idea that an awareness and enjoyment of place can improve people’s lives. They have a genuine belief in the civic dimension of the work they carry out, a word which for them evokes ‘duty’ as much as it does the ‘municipal’. I am grateful to Civic Voice for inviting me to its 2018 Conference and very much hope that the national and local amenity societies will develop stronger and closer relationships in years to come. 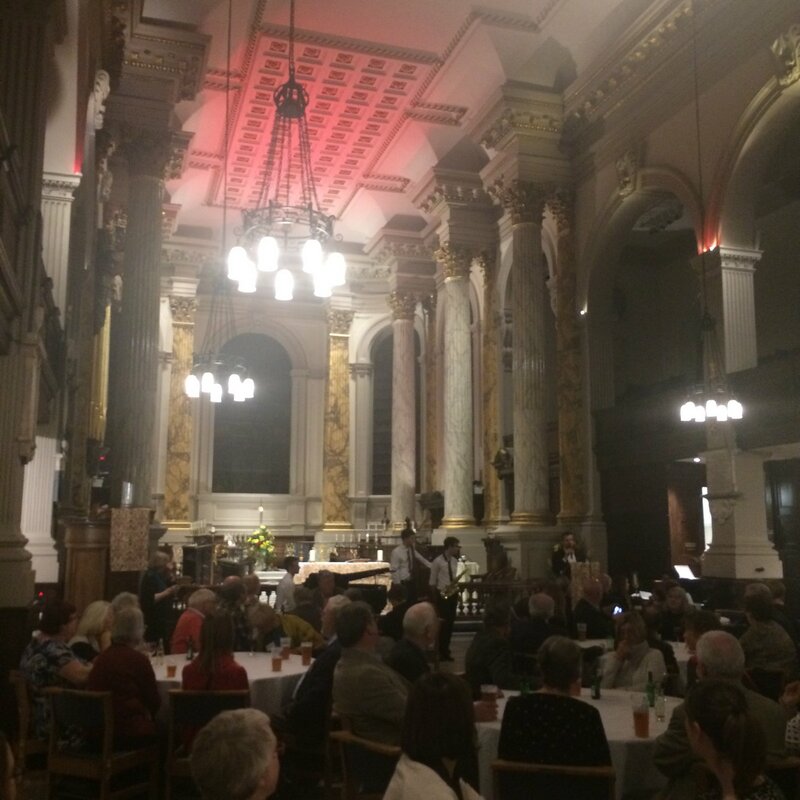 ‘Curry at the Cathedral’: dinner, poetry and music at the Cathedral Church of St Philip’s, which was designed by Thomas Archer and consecrated in 1815. The Cathedral is home to four superb stained- glass windows by Burne Jones depicting the Ascension, Nativity, Crucifixion and Last Judgement. « 2018 AMS Autumn Visits announced!